Need help writing a good cover letter? I can write a solid resume, interview well, and make sure that my online presence is on point. The one thing that’s always been a struggle? The dreaded cover letter. Cover letters can be absolute torture, and it feels like there are a million ways to screw them up. Is yours too formal or informal? Too long or short? Too much information or too vague? There’s an upside, though: Making your cover letter awesome doesn’t have to be a long, difficult process. In fact, as I’ve written more and more cover letters over time (and started helping dozens of other people write theirs), they’ve actually become (gasp!) fun. Ready to tackle your cover letter blues once and for all? 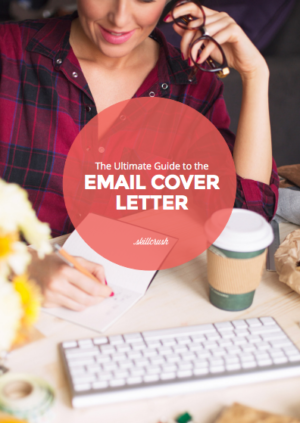 Download Skillcrush’s free 30+ page ebook, The Ultimate Guide to the Perfect Cover Letter. In it, you’ll get a complete, step-by-step guide to walk you through every stage of drafting a cover letter. And this guide WORKS. It has helped real people land the interviews they were after. Get it here! Here’s the most important question any cover letter should answer: What problem would hiring you solve? Notice that this question is about the company’s problem, not your desire to land the job! Tricky, I know. But think about it: If a company has put up a job description, it means they have a pain point and need a solution. For example, if a company is hiring a web designer, it means they don’t think their current layout is up to snuff and they’re looking for someone who can get them there. That’s the problem they need solved, and that’s what your cover letter should make clear in first few sentences. This is a tip that you’ve probably heard before, but it happens all the time: Don’t use your cover letter to simply restate your resume! Your cover letter is the perfect place to expand on things that your resume doesn’t detail, illustrate the more intangible reasons why you’re perfect for the job, and explain any particular circumstances that warrant discussion (for example, if you’re making a sudden or drastic career change). Cover letters are great for companies not only because they can see if you can solve the problem at hand, but also because they give hiring managers a sense of whether or not you understand the company culture. How do they figure this out? Tone. Take a look at a company’s website, how its social media is phrased, and how its employees talk about it online. Is this company a little more informal and fun? Is it buttoned-up and corporate? Your cover letter should be written in a tone similar to that of the company’s copy. Obviously put a professional spin on it, but keep the company’s culture in mind. Hiring managers assume that if you’re applying to a particular job, that must mean you really want that job. Thus, you don’t need to spend your entire cover letter reiterating how badly you want the job and how great the experience would be for you. It’s okay to spend one or two sentences tops explaining your love for the company, but then it’s time to turn the tables. The majority of your cover letter should be illustrating to a potential employer what hiring you would do for their company. Again, focus on the pain point: What talents and skills do you have that would help this organization tremendously? A big problem I’ve seen in lots of cover letters is that they tend to be very vague in describing any notable accomplishments or achievements. Numbers also add intrigue and leave hiring managers wanting to hear more! Psst! This tip holds true for resumes! (More here.) Adding numbers and statistics is a solid way to stand out! 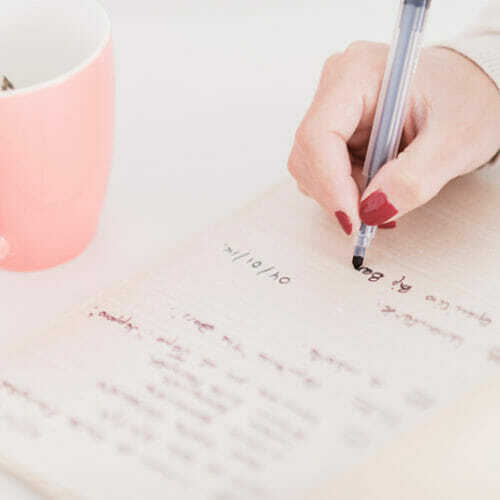 While examples can make your cover letter super effective, many people make the mistake of including unnecessary or irrelevant information when using anecdotes that make them drag on and lose their umph. Sentence 1: Introduce the skill you’re highlighting. Sentences 2: Explain the situation where you showed off this skill. Sentence 3: What was the end result? Explain what it did for the company and what it proves about your character. They’re redundant, so you’re taking up precious space! A hiring manager is already going to know your name from your application as well as which position you’re applying for. No need to repeat it. They’re generic and unmemorable. Give your hiring manager something to get excited about or be intrigued by. 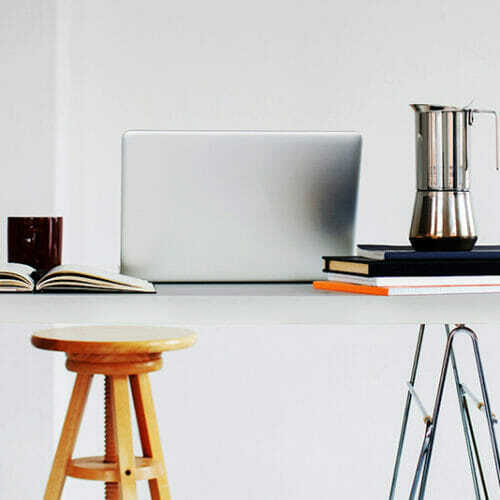 So, how can you start a cover letter with something that has a little more pizzazz? Try opening with a favorite short anecdote, a quote that best describes you as a professional, or your personal tagline. As you write (and then read through) every line of your cover letter, ask yourself: How does this sentence relate to the job description? If you find yourself going on tangents or including facts that don’t prove your ability to excel at the job or understand the company culture, take it out. 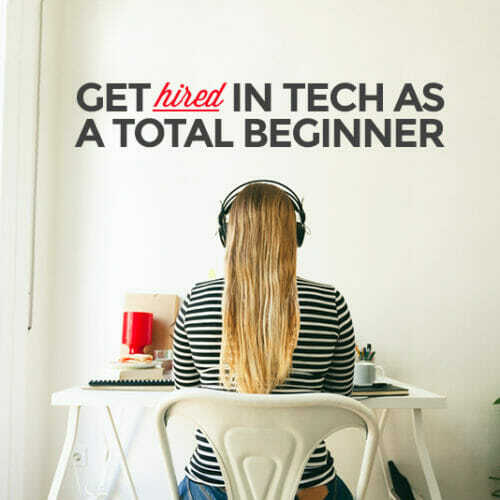 And if you need some help making sense of exactly what will prove you are qualified for the job at hand, check out these 10 Tips for Deciphering Tech Job Listings. Scrap the “To Whom It May Concern” greeting and do some research to find out who will be reading your cover letter. In some cases, employers will be super helpful and straight up tell you whom to address that cover letter to. If you aren’t so lucky, a quick Google search can help, or if you have a connection to a potential employer, have a professional contact ask around to see if they can get a name. If all else fails and you really want to avoid the dreaded “To Whom It May Concern” line, feel free to shoot the company an email. I did this before when I was applying to a company that had a plethora of people on its editorial and HR teams and I had no idea who’d be hiring me. I’m applying to [name of company]’s [name of job title] position, and I was having some trouble figuring out whom specifically to address the cover letter to. Is there a particular person or department I should direct it to? If you’re going to use hyperlinks in your cover letter, there are two important things to keep in mind. First, try not to include more than two or three links tops in a cover letter (like an online portfolio or personal website). All links should be relevant, and your cover letter shouldn’t be used as a dumping ground for everything you’ve ever created! Second, make sure you add context to a hyperlink to both draw attention to it and to make the hiring manager understand that it’s worth his or her time to click on. For example, if you’re referencing a recent design project you did, add that said project can be found “in my online portfolio” and add a hyperlink. This is a no-brainer: Regardless of how “chill” the company says it is, keep clipart, emoticons, emojis, cute pictures of your puppy, and any other images OUT of your cover letter! Squeeze an emoji into a cover email if you’re SUPER confident it’s appropriate. Otherwise, steer clear. I’ve seen dozens of cover letters in the past month, and the biggest issue across the board is that people make their cover letters way too long. Here’s the general rule of thumb to follow: Your cover letter should be a single page (no more!) and around 300-350 words. If you’re writing a cover email, three to five sentences works (since you usually have attachments or links for a hiring manager to click on). True story: I once received a cover letter from a friend where he’d had kept his writing to one page—but it was in eight-point font. Yikes. Your cover letter font size should be normal (aim for between 10-point and 12-point), and your font should be straightforward and professional. Favorites include Arial, Times New Roman, and Georgia. Just say no to Curly Q or Comic Sans. And if you’re looking for some font inspiration for adding pizazz to other parts of your application, like your resume or portfolio, check out these 8 Free Font Pairings You Have to See. Nothing provokes fear in people faster than a wall of text. Hiring managers get a visual of your physical cover letter before they ever read it, and if their first reaction is, “Oh god, it’s all one paragraph!” that’s not a good sign. 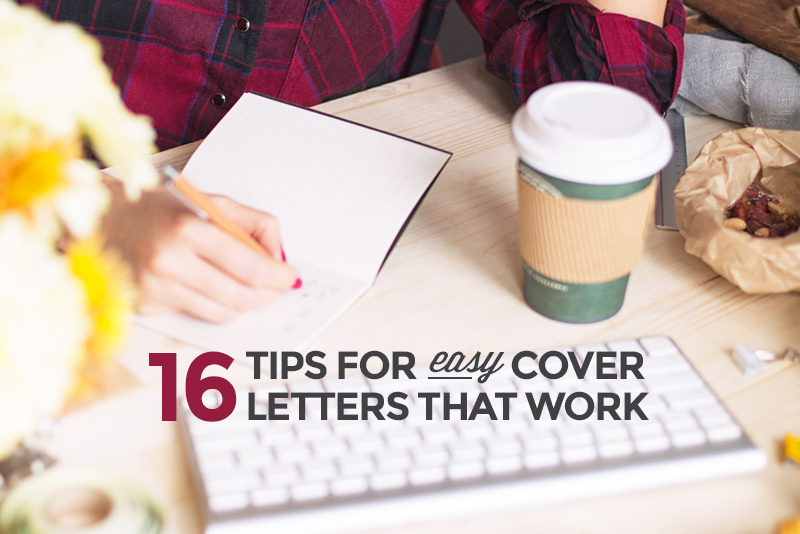 Instead, break up your cover letter into smaller paragraphs of three or four sentences each. It’s so much more aesthetically pleasing, and the person reading your cover letter will thank you. As with in a resume, using phrases like “team player,” “self-motivated,” or “results driven” only makes your cover letter generic and unmemorable. Use more lively language, or better yet, use specific examples to prove your point. Editing is the most tedious but also the most necessary part of any cover letter writing you do. Start by printing your cover letter out and reading it aloud. I also recommend reading the cover letter starting with the last sentence and working your way up. Another pro tip: Definitely get someone else to read your cover letter. In many cases, you might think your writing is pristine, but a friend will find at least a couple typos and point out some places where your wording is a little clunky. Getting that perfect cover letter doesn’t have to be a time-consuming process. Use these tips and you’ll be snagging the job (and impressing potential employers with your savvy) in no time! 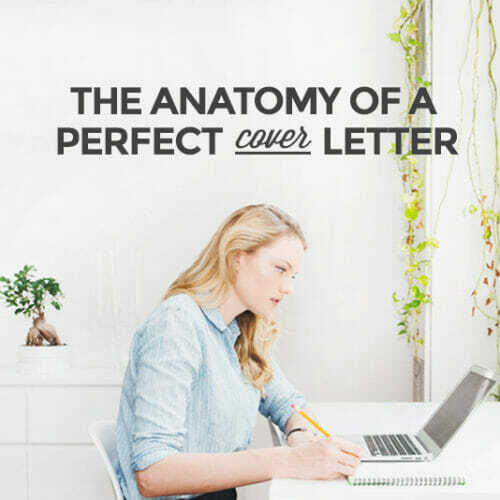 And don’t forget to download our free comprehensive, step-by-step ebook, The Ultimate Guide the Perfect Email Cover Letter. This guide has landed REAL people the interviews they were after. Hello, secret sauce.